Karen F. Williams you have a new fan. What a cute story. The chemistry starts right from the beginning and just gets better . On a cold winter night nothing is better than a short romantic story to warm your heart. This was a sweet and quick read and now I cannot wait to read more from Williams. It's a story about two women falling in love at first sight. The chemistry is off the charts you cannot help it but root for them only after a few pages. ...This is a great quick read that teases at sexual tension without ever getting there. It allows the reader's mind to wander after the story ends to what happens between the two. It is a nice read, especially leading up to Valentine's Day. Worth checking out. When Kay Westscott’s first encounters Ann Ward in the lounge of the Sheraton Hotel you can’t say it was a meet-cute, more the opposite. 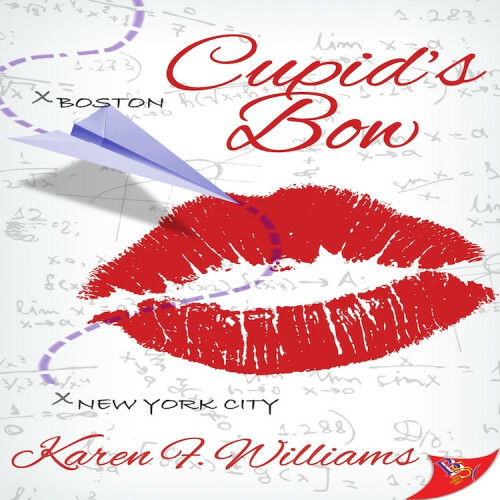 And yet, Cupid's Bow by Karen F. Williams would be an awfully short romance story if things didn’t get better from there on out. Both women don’t have the warmest of starts but Kay feels there is something about this German math professor that she can’t walk away from. So when she finds out Ann is here for the lesbian speed dating she proposes to help her practice for the real event. It’s during their pretend speed date they discover a lot of common ground.